Winston Ewart is a retired commercial banker. He joined Barclays Bank, DCO in 1969, now known as The National Commercial Bank Jamaica Limited, and remained with the organization until September 1996 when he was seconded to the Edna Manley College of the Visual & Performing Arts as the Director of Studies for Music. After the period of secondment ended some 30 months later he opted to remain at the college and was later promoted to the position of Vice Principal – Administration and Development. In 2007 he resigned this position and served for a short stint at the Jamaica Cultural Development Commission as Music Specialist before moving on to the University of Technology Jamaica (UTech) as coordinator for the Masters in Business Administration Program where he served until March 2013. Winston is very involved in the musical landscape of Jamaica. 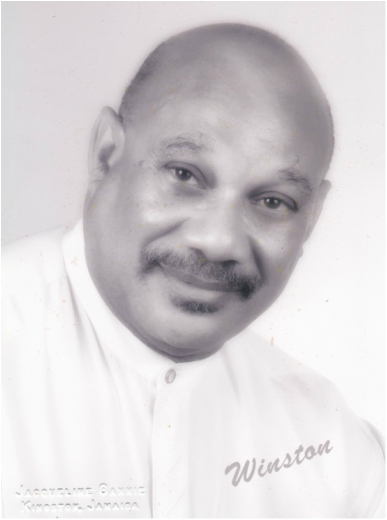 He has served as President of the Jamaica Music Teachers Association on several occasions and continues to serve as: Musical Director of the National Chorale of Jamaica; Organist of Christ Church (Anglican) for over 50 years; and as an Accompanist. He is also the Local Representative for Trinity College, London. He holds a Licentiate in Piano Teaching (LRSM) from the Royal Schools of Music, London. In 1983, Winston was invited by the late Noel Foster-Davis to teach Piano, History, Harmony and Theory of Music at The Foster- Davis School of Music. While teaching at the Foster-Davis School he pursued advanced studies in Piano with the late Jean Anderson as well as Cello studies with Ms. Foster-Davis. During the academic year 1985/86 he pursued studies in Piano Accompanying with Jeffrey Pratley and Choral and Orchestral Conducting with the eminent British Musician the late Dr. Havelock Nelson in the United Kingdom. Winston is a founding member of the National Chorale of Jamaica. He first joined the chorale as a member of the Tenor line, then as Accompanist and now as conductor. He has from its inception been a member of the management of the chorale. As conductor he has conducted many major works including The Messiah-Handel, Hiawatha’s Wedding Feast- Samuel Coleridge-Taylor, The Christmas Cantata- Bach, The Alto Rhapsody- Brahms, A Song of Thanksgiving –Ralph Vaughn Williams, Mass in G-Schubert, In Ecclesiis – Gabrieli, St. Nicholas- Benjamin Britten, and more recently Elijah by Mendelssohn which featured Sir Willard White as Elijah, Sylvia Kevorkian-Soprano, Leah Brown- Contralto and Byron Johnson- Tenor. Winston has also conducted the National Chorale at the state funerals of, Sir Florizel Glaspolle, Sir Howard Cooke, Michael Manley, David Coore and Dudley Thompson. He had the privilege of conducting the chorale at Kings House for the singing of Zadok the Priest, at a function to honour Queen Elizabeth II as the longest serving monarch in 2016 as well as at other national functions. Winston attended Excelsior High School in Kingston. There he honed his musical talents in the annual Eisteddfod. After Excelsior he joined Barclays Bank and pursued studies for the Institute of Bankers Examinations. He later attended Goldsmith College, University of London and later read for the Master of Arts degree in Arts Administration and Cultural Policy. He now lectures part-time at the Edna Manley College of the Visual and Performing Arts in Kingston. Winston is a member of the Lay Magistrates Association of Jamaica, Kingston Chapter. He is an avid sports fan with special interest in Track and Field.